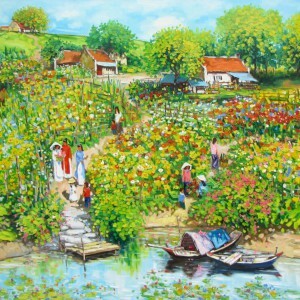 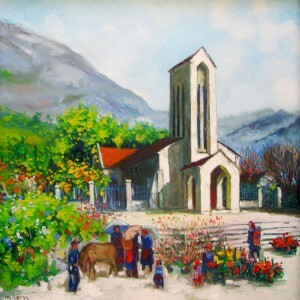 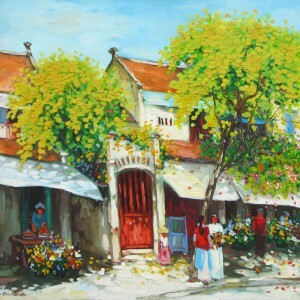 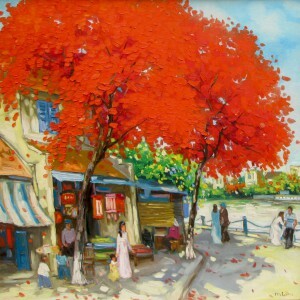 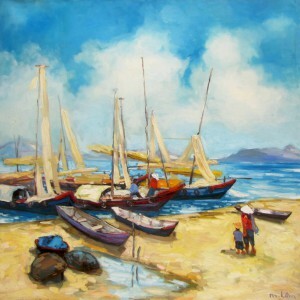 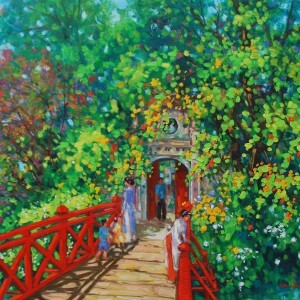 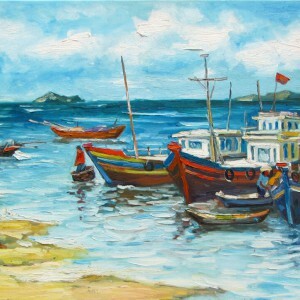 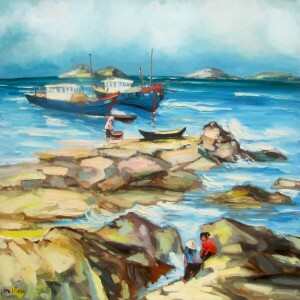 Traditional Asian artworks, namely Vietnamese ones, are noticeable for their contemplative and meditative character. 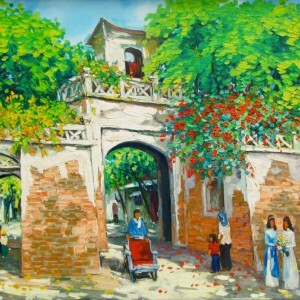 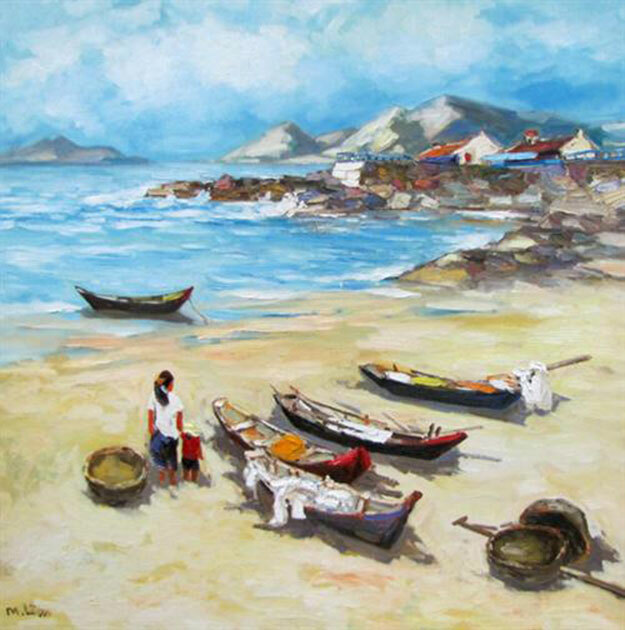 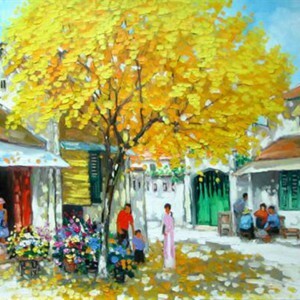 Though contemporary Asian artist, Lam Manh inherits these traits of the local culture and transfers them into his painting. 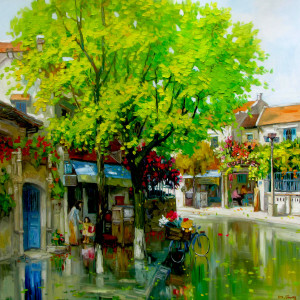 This can be particularly felt in this image that draws our attention with the light and tranquil color gamma and well-built composition.